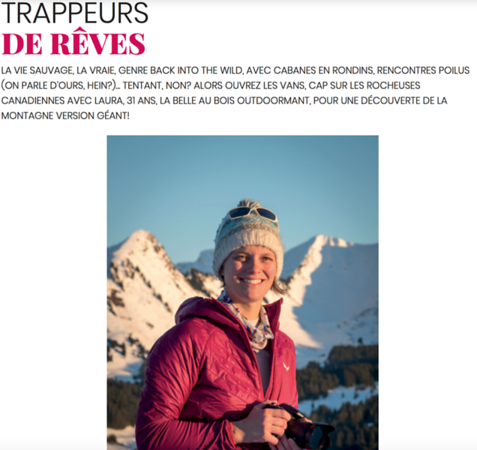 I have been interviewed about my last trip in the Canadian rockies by Active Mag. Some of my pictures of this trip have been published in the magazine. My work and my pictures done during my ski touring trip in the Italian alps has been published in a "F-stop story" by the american brand F-stop specialized in adventure photography bags. 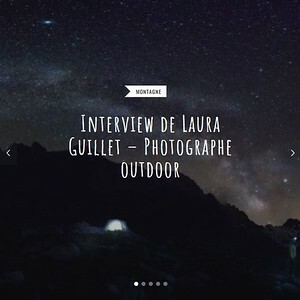 As a feminine outdoor photographer, I have been interviewed by Tanya Naville for her organization called "On n'est pas que des collants", that promotes the feminine practice in alpine and outdoor sports ! You can find the interview here or by clicking on the picture on the left. 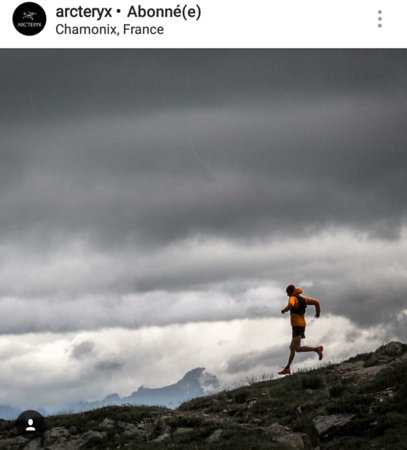 One of my pictures reposted by Arc'teryx on their Instagram account, and more than 5000 likes !